Lauren Pressley is Director of the University of Washington Tacoma Library and Associate Dean of University Libraries. The University of Washington Tacoma is an urban campus that is changing the face of its region architecturally, culturally, and economically. 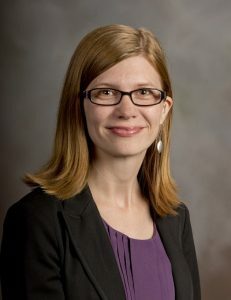 Prior to joining the University of Washington Libraries, Lauren was Director of Learning Environments for Virginia Tech University Libraries and held a number of roles related to instruction and technology at Wake Forest University’s Z. Smith Reynolds Library. Lauren regularly publishes and presents on formal and informal learning, the evolving information environment, and the future of libraries. She also has worked closely on issues related evolving pedagogical models, integrating the library into formal and informal learning, incorporating design principles into library spaces and services, and organizational change. She has served in several positions within the American Library Association (ALA), the Library Information Technology Association (LITA), the Association of College and Research Libraries (ACRL), the Horizon Project, and Library Pipeline. Lauren has been recognized with an Distinguished Alumni Early Career Award from the UNC-Greensboro, School of Education, as a Library Journal Mover and Shaker, and as an ALA Emerging Leader. She holds Bachelor of Arts degrees from North Carolina State University in Small Group and Interpersonal Communication and Philosophy and a Master of Library and Information Studies degree from UNC-Greensboro. Lauren recently participated in the 2014 UCLA Senior Fellows Program.